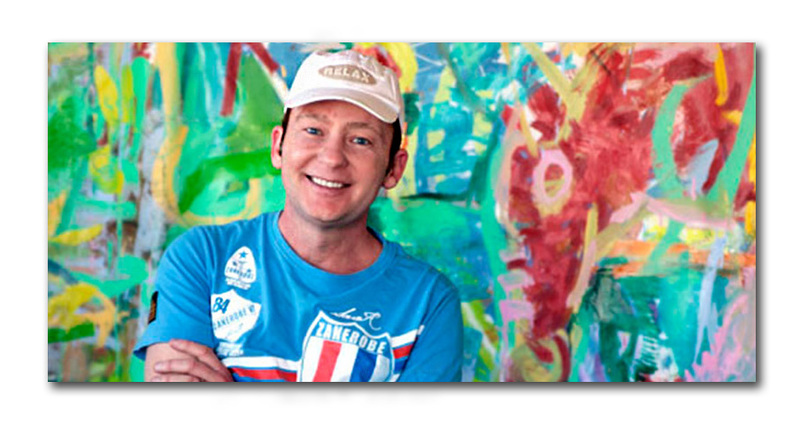 Davyd Whaley was born on December 6, 1967 and died on October 15, 2014. He was a resident artist at the Santa Fe Art Colony in downtown Los Angeles and was a member of the Los Angeles Art Association. He had previously served in the Navy for four years from 1986-1990, and worked for 15 years as an electrical engineer before becoming a professional artist. He was admired and deeply loved by his colleagues, his friends, and his spouse, television director Norman Buckley. His time was split between being a full-time studio artist and teaching art classes. At the time of his death he was teaching art to terminally ill children with The Art of Elysium, as well as working with war-scarred children through The Children of War Foundation. In technical terms, Davyd was drawn to asymmetrical forms and the energy and power created by a 3-dimensional contrast of tactile depth, light and color. Davyd’s paintings are defined by circuitous strokes, thick with color and texture. He painted in episodes, each work expressing a moment; each canvas a spiritual sequence, like dreams linked in our subconscious by ethereal themes or meanings. In the long history of art, there is an abundance of artists whose work was barely known until long after their passing, and indeed Davyd Whaley’s art had not achieved wide recognition at the time of his death. As a body of work, however, it proclaims its own quality and celebrates the dedication and passion with which it was created. He remains alive in the hundreds of paintings and drawings he completed. Much of his work has been collected in the volume DAVYD WHALEY, with an essay “A HERO’S JOURNEY” by Peter Clothier, available soon on Amazon with all proceeds going to the Foundation. 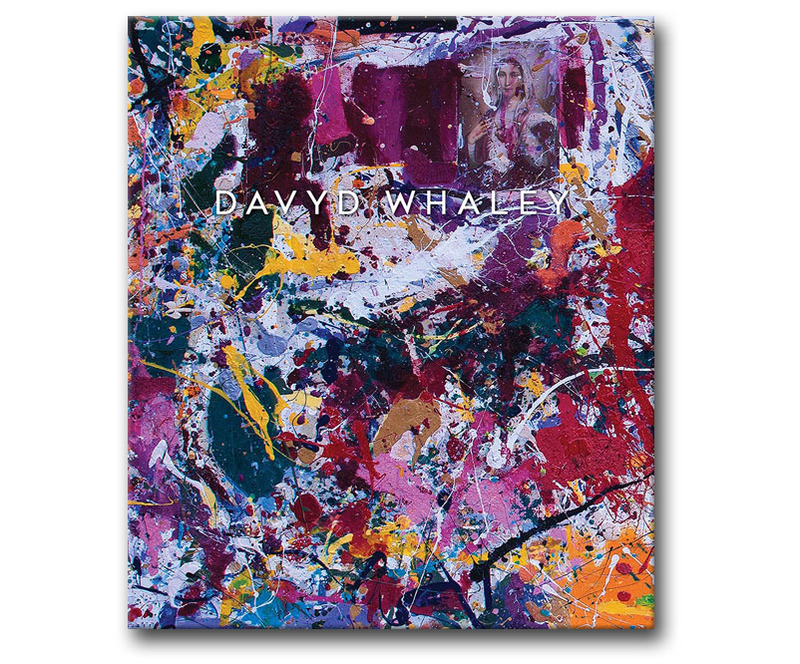 To preserve his legacy,The Davyd Whaley Foundation has been established to support living artists on their path to success. It honors Davyd’s desire to be of service to his fellow artists, through the awarding of grants that will enable others to follow their creative path with the sense of liberation and joy that he himself was able to discover in his studio practice.